New York Times columnists David Brooks and Ross Douthat are in a deep funk over the decline and fall of the Republican Party. They are finding novel ways of blaming liberals for the decline. I'd feel sorry for David Brooks if he hadn't been a facile, limp rhetorician who relied on the cheapest tricks of sophistry to pound home his retrograde ideas for an ideology that has been leaking oil for the past couple of decades. What was fun and easy to portray during the age of Reagan has grown harder and harder to promote since the age of Bush the younger. No longer can Brooks say the name Edmund Burke and expect anyone to roll over and say, "Er, you've got a point. Who's Edmund Burke, by the way?" If any of you have read David Brooks lately, you'd have already discovered he wishes he could get his Club for Gross member card back without losing his comfy post at the Times. Yet he soldiers on, working on the brink of lunacy, while, as usual, appearing above the fray, an observer not a decider. He laments, he pines, yet accomplishes nothing. In this case, his entire column is about the Republican Party, and yet, thanks to a near-heroic effort, the word “Republican” never appears. He makes the rather obvious point that our politics is broken, and he describes in great detail why that is, but he can’t say what every reader is thinking: It’s the Republican Party! I'd pity Brooks' tough spot if he'd just craft a let's-face-it confessional like Norm Ornstein and Thomas Mann did back in 2012 with their WaPo piece entitled "Let's just say it: The Republicans are the problem." But Brooks can't manage it. Oh well. But neither can his conservative colleague at the Times, Ross Douthat, who must have picked Brooks' crib notes out of the trash before he wrote his own responsibility dodge. 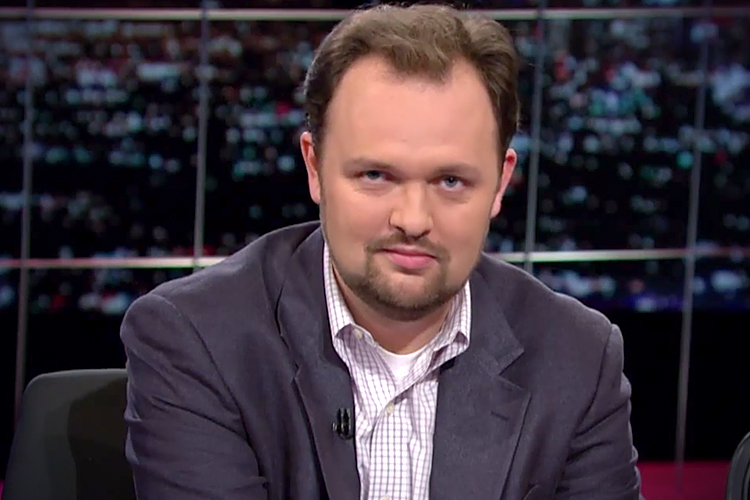 Ever since he mercifully took over William Kristol's office at the NYTimes, we've been watching the young Catholic intellectual diligently pouring out mild bromides meant as much to elicit pity as clucks and tut-tuts. 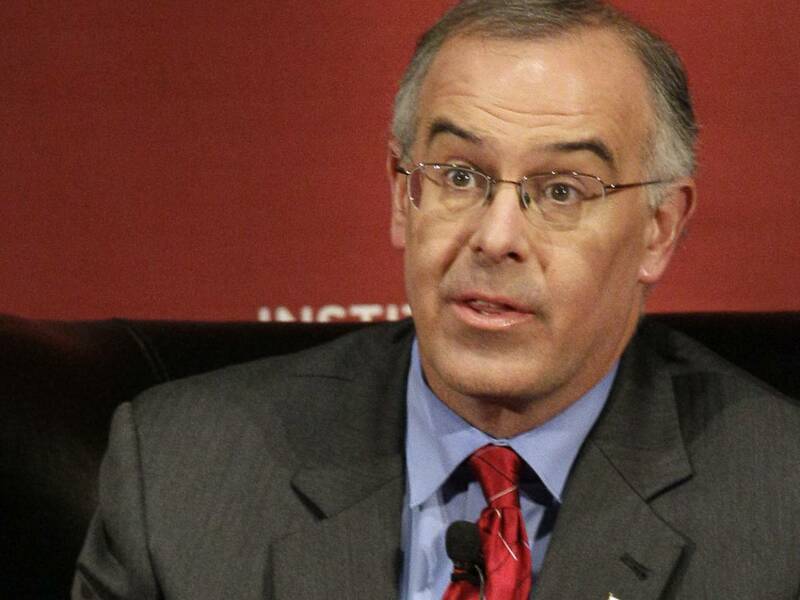 Like Brooks, unfortunately, he's been dismayed at the lack of support from conservatives and Republicans. At least his team could make his life slightly easier to live by not going further and further into the Fun House at Six Flags Batshit Crazy Kingdom. What's a overly fatigued pundit to do? Such a recognition wouldn’t require letting the Republican Party off the hook. The Trump uprising is first and foremost a Republican and conservative problem: There would be no Trumpism if George W. Bush’s presidency hadn’t cratered, no Trumpism if the party hadn’t alternated between stoking and ignoring working-class grievances, no Trump as front-runner if the party leadership and his rivals had committed fully to stopping him before now. But Trumpism is also a creature of the late Obama era, irrupting after eight years when a charismatic liberal president has dominated the cultural landscape and set the agenda for national debates. President Obama didn’t give us Trump in any kind of Machiavellian or deliberate fashion. But it isn’t an accident that this is the way the Obama era ends — with a reality TV demagogue leading a populist, nationalist revolt. Two peas in pod. My sense of the whole thing is their rhetorical cowardice mirrors, however sickly, the bankruptcy of movement conservatism. When the answer to the question, "Whaddya got?" is, increasingly, "Nuttin'!" you know some serious shift in ideology ain't far behind. In this case, far-right demagoguery has risen to fill the empty space. Standing in the wings uttering evasions gives us the Donald Trumps, the Ted Cruzes, and yes, the Marco Rubios, even the Mitch McConnells, and blaming it on liberalism is pretty piss-poor rhetoric. Look over there, Ma, a pony! Sorry, I don't see a pony. I see a disaster named Donald Trump. And it's on you, guys, at least a thousand percent more than anything you imagine Barack Obama to have done.